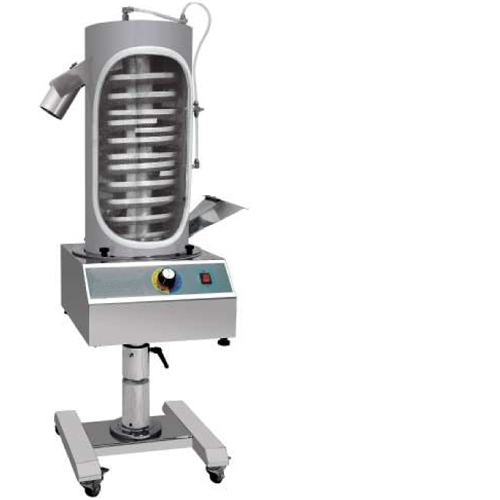 SP200 Rotating Up High Speed Tablet Deduster Instructions: SP200 Rotating Up High Speed Tablet Deduster was brought on the basis of international technology, it was double functions: tablet loading and tablet dedustering. Its advantage: long-road tablet dedustering, automatic tablet purling and polishing, effective deduster and do not damage the tablet. At the same time, it can serve as a transmit instrument. Totally meet with the standard of [GMP" requirement. This machine adopt new structure, and guarantee the safety and stability. Looking for ideal SP200 Rotating Up High Speed Tablet Deduster Manufacturer & supplier ? We have a wide selection at great prices to help you get creative. All the Rotating Up High Speed Tablet Deduster are quality guaranteed. We are China Origin Factory of Pills Deduster. If you have any question, please feel free to contact us.